In bone divination, also known as throwing the bones, bones are softly tossed (like dice) and then interpreted by the patterns. Throwing the bones in a variety of forms is traditional in many cultures around the world, including Africa, Asia, and the Americas. There are often other small objects included such as shells, roots, nuts, and amulets of all kinds. Mother Maggie’s one-of-a-kind bone sets each contain an assortment of 26 (labeled) real and replica bones, teeth, and claws, shells, roots, nuts, and seeds, amulets and talismans, a detailed guideline sheet of suggested symbolism, and a finished fabric piece to throw on. We carry both real and replica bones. We will not knowingly carry bones from an endangered or protected species. We do not support poaching of animals. Our sources obtain bones from natural and predator deaths, road kills, and legal hunting and trapping operations. Each piece has been cleansed by Mother Maggie’s during curation, but cleansing the set and each piece yourself (with a spiritual cologne or by smoke) while getting to know the collection is suggested. You might wish to find a bag, bowl, or box for a home for the set. We also carry 2 great books about bone-throwing. ALL SOLD. MORE COMING SOON! BUT CHECK OUT OUR TINNED AND BAGGED BONE SETS! Our bagged bone sets are available here. Our tinned bone sets are available here. Our single bones are available here. Our single roots are available here. Our amulets are available here. Our single stones are available here. Our cleansing smudges are available here. Our cleansing colognes are available here. 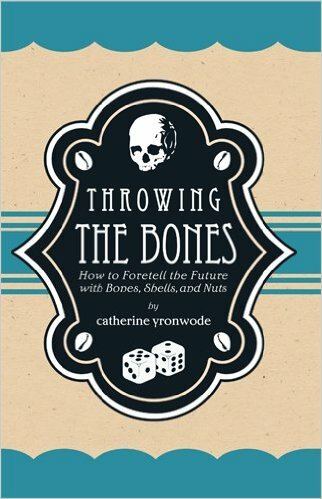 We have two excellent books about throwing bones available here.